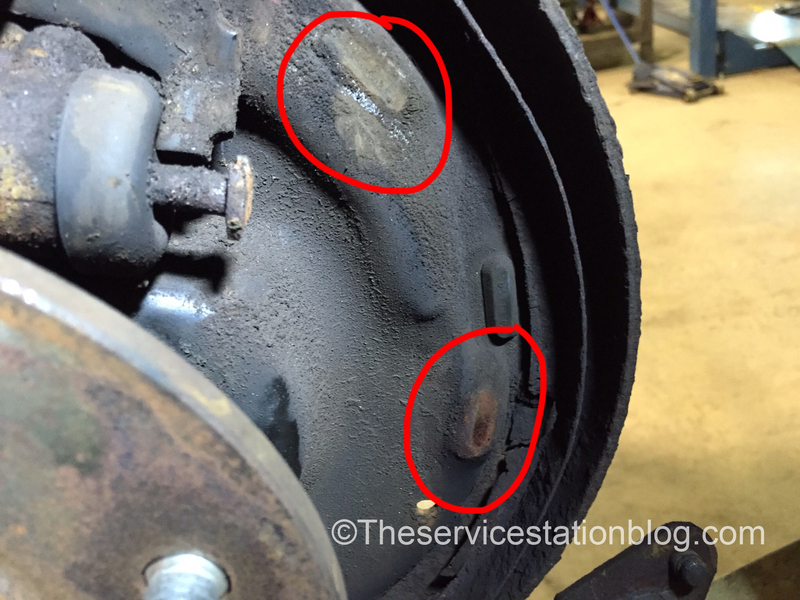 Drum brakes can be a pain. 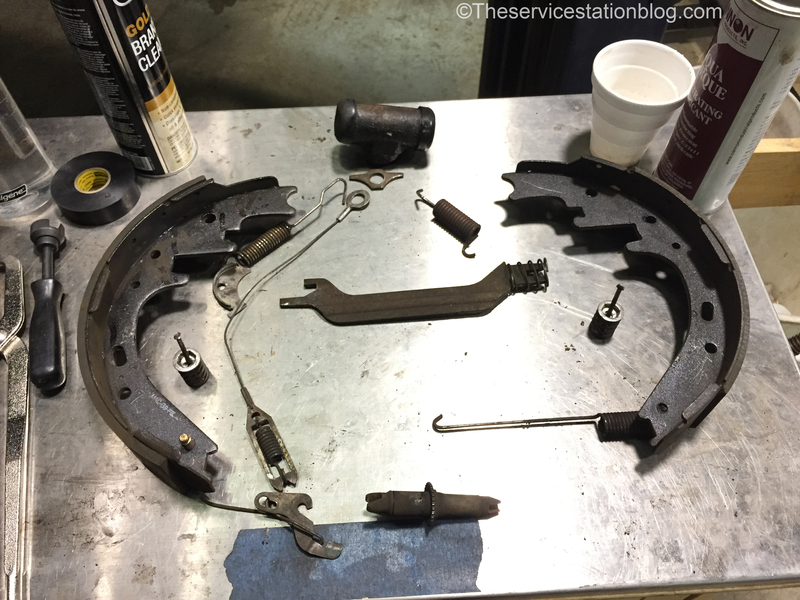 The average DIYer probably feels they have the ability to perform a basic front brake job, but drum brakes can be pretty intimidating if you’re not familiar with them. 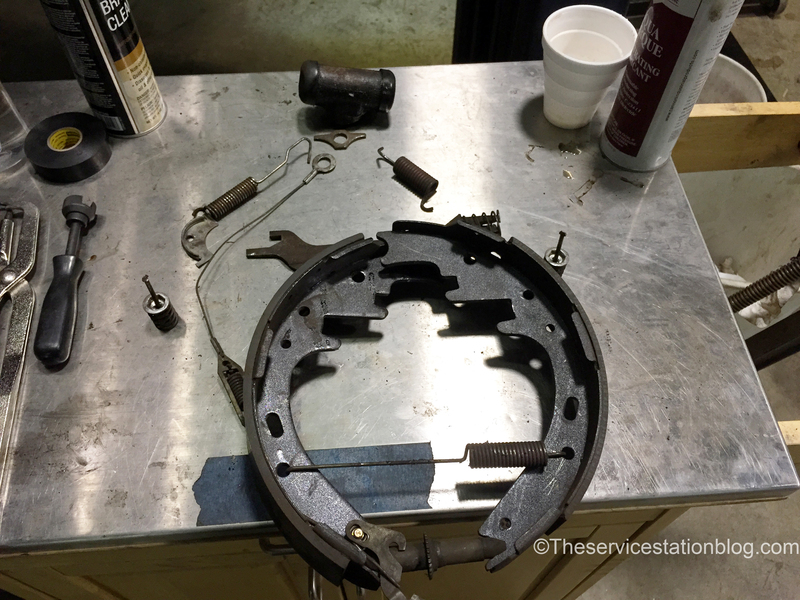 While I won’t get into a complete walkthrough in this post, I will give you a few tips to make your next drum brake job a little easier. 1) Do only one side at a time. Even if you take lots of pictures and have a service manual, leaving one side in tact will allow you to refer to that side if you get confused on the side you’re working on. If you’re working with a partner, it’s not a good idea for both of you to tear into things at once unless you’re both intimately familiar with the EXACT brake system you’re working on. If you and your brother (or sister) both work at a Chevy dealership and have collectively done dozens of brake jobs on Chevy trucks and can lay out every single component of the brake system, it’s ok; otherwise, do one side at a time. 2) Take pictures. Lots of pictures. How many of you have a smartphone? Or at least a phone that takes pictures (do they even make phones without cameras?!). It only takes a few seconds to snap a few shots; make sure to pay special attention to areas where several springs or other pieces of hardware intersect. 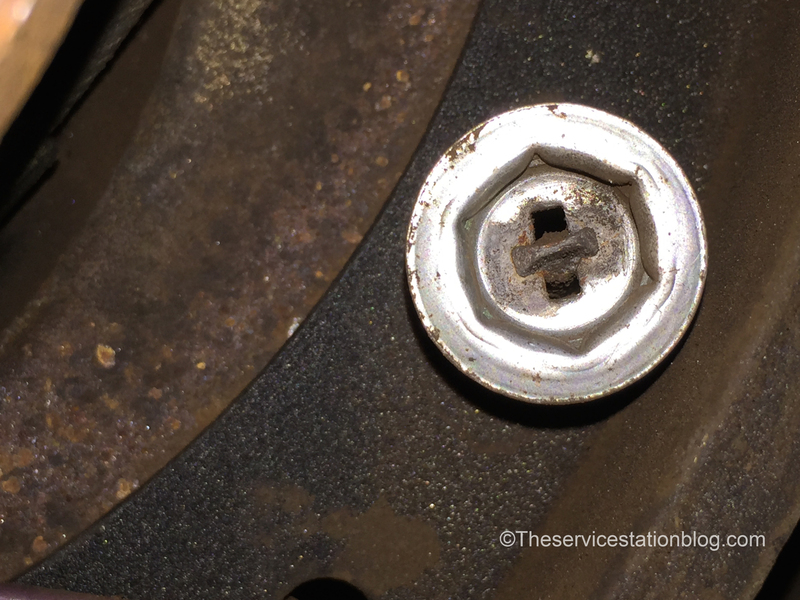 It’s important to get them back in the right order or something could bind up and not work properly, making noise, failing to adjust the brakes as they wear, or failing to apply the parking brake for example. 3) Be sure to clean everything really well and apply lubricant to the proper places. The areas circled in red are called shoe support pads as they support the brake shoes. These should be thoroughly cleaned with a wire brush and/or sandpaper and lubricated with silicone brake grease or anti-sieze (not just wheel bearing grease). 4) Use the proper tools. Several tools manufacturers make specialized brake tools to make the job a little easier. On this job I used a pair of Snap-On brake spring pliers and an OTC hold down spring tool in addition to a few basic hand tools. 6) Lay all your parts out on a table in the approximate arrangement where they are on the vehicle. 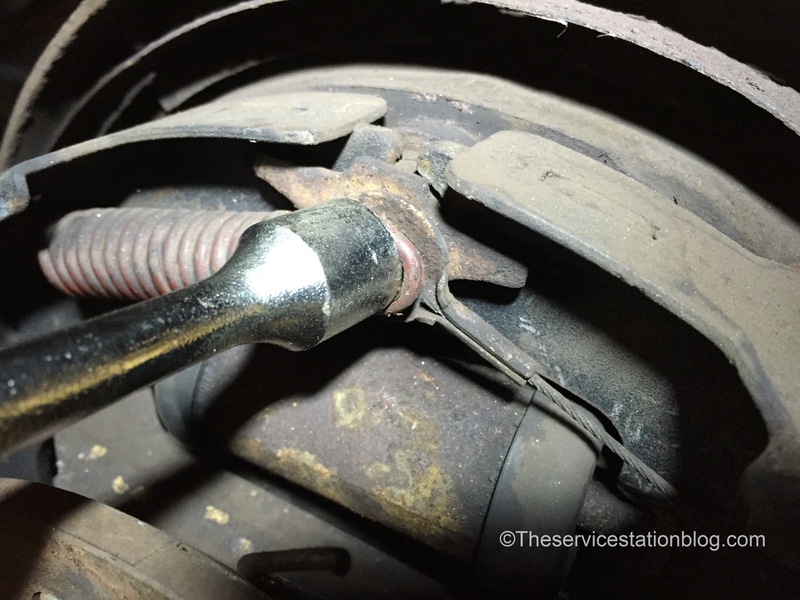 This will help you make sure the springs are installed in the right direction, the parking brake strut is installed with the spring forward (usually), and the starwheel adjuster is oriented correctly. 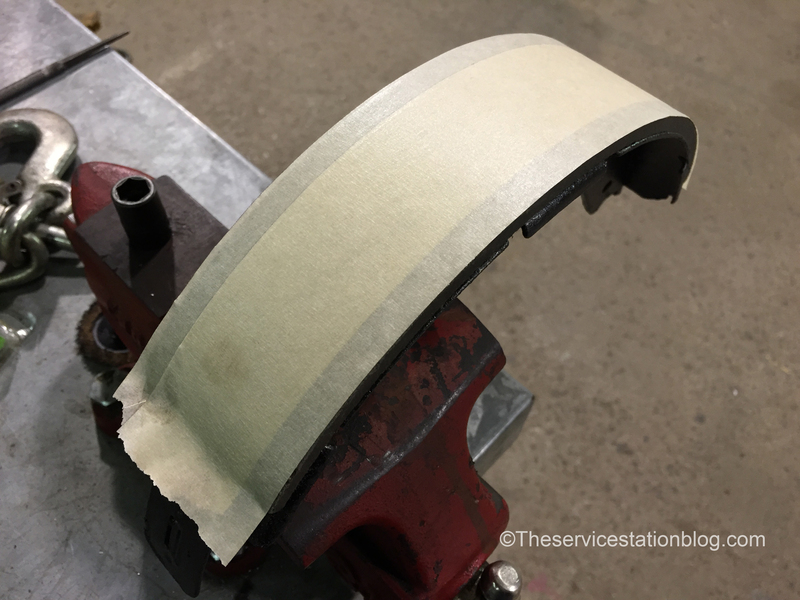 7) When everything’s clean and you’re ready to install your new shoes, put a bit of masking or similar tape on the linings of the brake shoes to keep your greasy mitts from contaminating the lining. I mounted the shoes in a vise to make it easier to apply the tape. If you get grease, brake fluid, anti-seize, or other junk on the shoes it can cause brake noise, grabbing, or decreased brake performance. Share your tips, comments, and questions in the comments below! * Please be advised that I have no control of the ads that may appear below. Nice post and useful for us, thanks for sharing with us. Glad it helped! I’ve been a little slow about posting but hope to post some good stuff soon. Check back in the next couple weeks!